It seems that everyone is always talking about abundance – needing more, welcoming more, sharing more, etc. But the word abundance shouldn’t just be used to describe material abundance because what “abundance” really means is have plenty of something – whether it’s love, friendship, security, joy, health, or money. One of the biggest mistakes anyone can make is failing to recognize that abundance takes many forms. Unfortunately, we are often so focused on actual money – paper bills and credit cards – that the abundant gifts The Universe provides go unnoticed. If you can just take the time to stop, slow down, and pay attention for a moment to what’s going on around you, you’ll see that you probably have more abundance in your life than you thought. Did you receive an unexpected gift in the mail? That’s abundance! Did someone offer to help you in some way? That’s abundance! Did you suddenly realize that you have all that you need for that moment in time? That’s abundance! 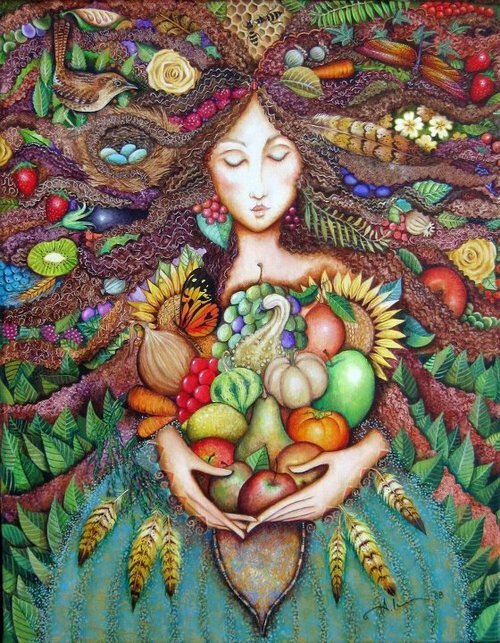 The abundance is there, it’s just up to you to recognize the signs and be grateful for it. This entry was posted in Reflection and tagged abundance, The Universe.